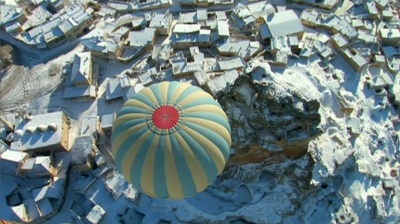 My favorite travel host, Michael Palin, explores his own continent. 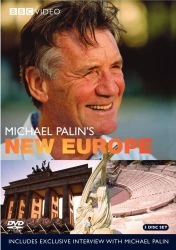 With his usual agreeable wit, Palin departs from his home in Old Europe and with BBC crew in tow, he sets off by train to investigate all 20 newly opened European countries which were formerly off-limit to casual travel. 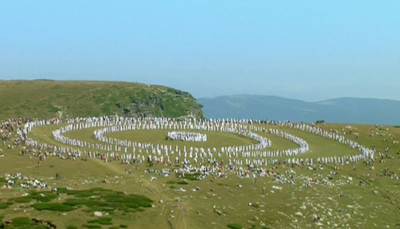 Besides the expected classic Eastern Europe destinations, this journey includes the many new tiny Balkan countries, and several breakaway provinces near Russia, and little visited countries such as Moldavia, Albania, Kaliningrad. To present a country Palin mixes the grand and the tiny, the classic shot and the offbeat, the intelligent uplifting interview and the plain goofy stunt. What else would you expect from a former Monte Python member? This seven-part travelogue on Eastern Europe is fun, revealing, informative, and fresh, and made me eager to know more. I second this DVD! Actually, pretty much any Palin documentary is worth watching.